Mark Elliot, Sioux Falls S.D – I didn’t know anyone took backyard rinks as seriously as I do. Some great information here!! I have my rink built on our backyard basketball court and we have been for 3 years. Now with some more fabulous and helpful tips our rink will be even better. Great work!! Thank you! Todd Warda, Michigan – Just wanted to thank you for your great advice! We have now constructed a rink that is the talk of the neighbourhood. With 4 foot boards and two nets on our 50 x 150 rink we have some fabulous games. Thanks again. YOU GUYS ROCK….Once I get the rink I ‘ll tell everyone about you guys. Thanks for the great service. Dennis Golden Mass. I HAVE AN OUTDOOR RINK EXPERIENCED FRIEND and he says your liner was comparable to ones he has seen at twice the cost. Keith Jameson Mi. THANK YOU ONCE AGAIN Your outdoor rink plastic liner saved the day. My dog jumped off the porch and it held. No Punctures. Here I was having a coffee and surfing the net…….. I discovered your outdoor rink site and I knew I had arrived. You have thought of everything. Awesome. YOU GUYS ROCK….Once I get the backyard rink liner I ‘ll tell everyone about you guys. I’ve got about 15 friends that build rinks down here and its not easy. Thanks for the great service. Dennis Golden Mass. AMAZING SERVICE and great products. I used your Ultimate Flooder last year and I was done in 5 minutes with a surface that was as good as you get for an outdoor rink. Gord Waterloo On. 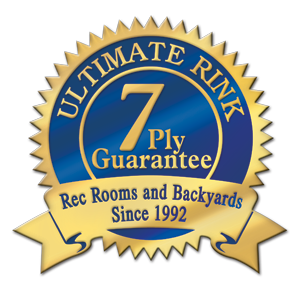 AWESOME BACKYARD RINK PRODUCTS……..I am so glad I did it. Thanks for the advice and the awesome products and fast shipping. Love the flooder and the puckboard corners too! – Jim Lethbridge AB. I JUST WANTED you to know how impressed I am with the timeliness of my shipping year after year. The liner clips are a great idea being as my outdoor rink is in a wide open space. They save me time, staple holes and worry from the wind . Geoff. Durham. On. I MUST SAY this is an impressive looking backyard rink kit. I ordered the extras like the L.P.S, the nets and the flooder and I am glad I did. I absolutely love the video. After seeing you guys build a rink it all makes sense now. Very helpful!! …and the ice maintenance section is a huge bonus. — Jeff. Red Deer AB. YOU GUYS come highly recommended for guys that know how to build a backyard rink!!! It was sooooooo nice to see an awesome backyard ice rink and rink plastic liner website and product from Canada!! It was a pleasure dealing with you guys. Thank You. Tom Watson. GREAT TIPS ON YOUR OUTDOOR RINK WEBSITE. It really made it work. The monofilament catch mesh is awesome. Thanks for Growhoski Arena James Grohowski Ma. Just a note to say thank you..the boys were on our back yard rink yesterday…the ice is fantastic!. You were very helpful and all of my orders were processed quickly. Your customer service is really appreciated. I’ll be ordering again next year! Dave. People that do their homework will pick The Ultimate Outdoor Rink for their rink building needs. Wendy Toronto On. 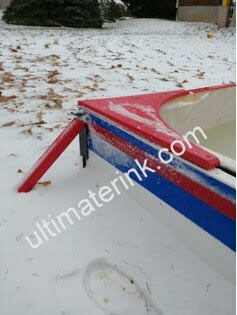 I switched to your backyard ice rink products because it represents better value Bill Chicago Il. Truly outstanding service – thank you very much for all of your time and help. We look forward to ordering lots of things to go with the rink. Dave Kelly Toronto. What you do is more then memorable…..Love it. The memories of backyard ice rink building, maintaining and the level of excitement around our house with an outdoor rink is what we live for. You guys do a great job!!!! Steve S. Kitchener On. I have spend 3 weeks surfing the net for outdoor rinks and you guys keep coming up as having your act together. Kyle QC. First year with an ice rink plastic liner, did it the old fashioned way the last few years. Great pricing and good service. Wow what awesome service! Ordered on Friday and in my garage on Monday. Drew Hillsburgh On. Hi Brian, I picked up an outdoor rink kit today and enjoyed the DVD. I’m looking forward to winter for the first time in a while this year. Hi Outdoor Rink Crew, I was so happy with your product last year, I am back for more. Thank you for offering so much info and help. Brent Wilcox, Manotick On. So here we are at the Arena, all us Dads I we are comparing our backyard rinks on our phones…..pretty cool. 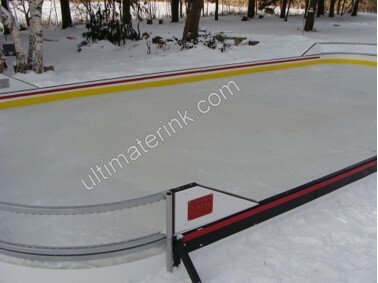 Whats the coolest is our outdoor rink is the smoothest and is attributed to the amazing Ultimate Flooder. Thanks. Now I need to get the T.E.P. and the L.P.S and those Corner Seats. Eric Toronto. I JUST WANTED you to know how impressed I am with the timeliness of my shipping year after year. The liner clips are a great idea being as my rink is in a wide open space. They save me time, staple holes and worry from the wind . Geoff. Durham. On. I MUSY SAY this is an impressive looking kit. I ordered the extras like the L.P.S, the nets and the flooder and I am glad I did. I absolutely love the video. After seeing you guys build a rink it all makes sense now. Very helpful!! …and the ice maintenance section is a huge bonus. Jeff. Red Deer AB. YOU GUYS come highly recommended!!! Patrick. Williamsville N.Y.